Whenever you have a project that calls for lighting installation, you need to be certain that you are working only with seasoned professional electricians to complete the job. So, you will be glad to know that the only name that you need to know, for this type of work, is Orr Electric. We will work with you in order to ensure that the results are a safe and secure as they are stunning. Keep in mind that improper installation can lead to very serious issues, such as shock, electrocution or a fire. We take this line of work seriously because we have respect for the severity of it. You can be sure that you are getting the best of the best, when it comes to your residential electrical work, by teaming up with us. We have built up the sturdy reputation that we have by providing our customers with the finest in craftsmanship, materials, customer service and even affordable pricing. It doesn’t matter if you are in the beginning stages of designing and building your dream home, or renovating your current home – we can take care of this for you. It is essential to make sure that your home has sufficient lighting; this may sound obvious but happens to be a very common complaint that Newton, NJ homeowners have. Don’t plan your lighting around how well lit your home looks on a naturally sunny day; it is better to have too much lighting than not enough. And don’t make plans around adding floor or table lamps, you will almost always wish you had planned for more installed lighting. This also means making it a point to only work with reputable contractors who know how to plan accordingly, including making sure your system can handle the amount of lighting and wiring that you want. The problem is that there are too many self-proclaimed pros out there, lacking the skills and knowledge and just trying to make a quick buck. Don’t take chances when it comes to the safety of your home and safeguarding your loved ones. If you already know that you have a job for us to do, then give us a call today. We don’t just aim to meet your expectations, our goal is to exceed them. So let us show you all that we can do for you. Orr Electric will be there for you, for all of your electrical service needs. 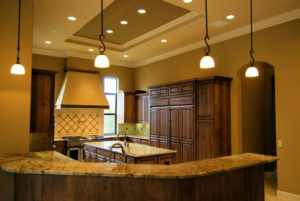 This includes making sure that you have the right lighting installation work completed. So get in touch with us right now, in order to find out all that we can take care of for you.